The women of Saint Catherine Laboure worked together to make over one hundred and eighty pads for the girls of Matanya’s Hope. 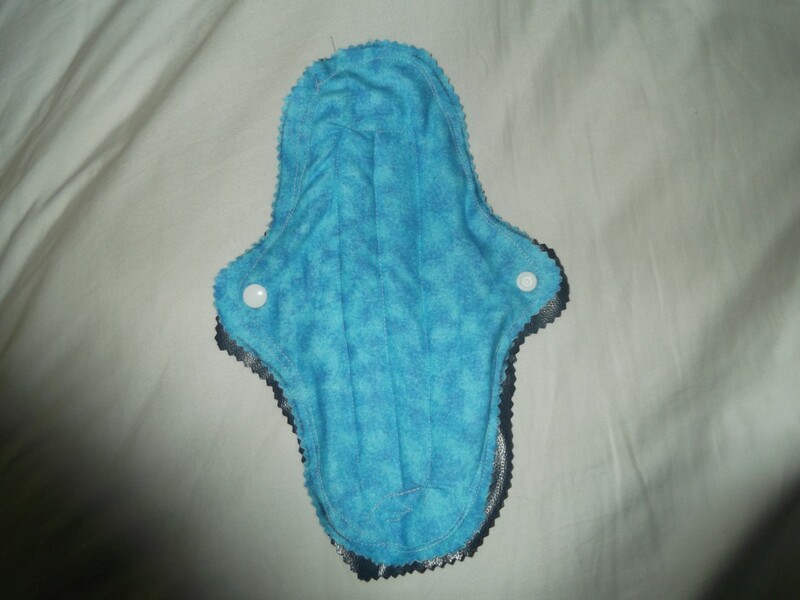 In Kenya, when a girl is on her period and cannot afford disposal sanitary napkins she must stay home from school. This means missing many weeks out of the year for something she cannot help. The pads made are reusable and can be cleaned to be used again and allow the girls to attend school every day. Think it’s a little gross? Imagine having nothing and how much better this will make their lives. 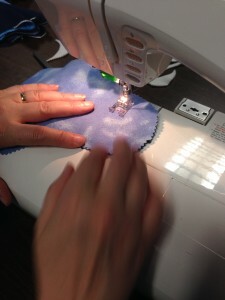 They are made from flannel and a waterproof fabric to keep from leaking. 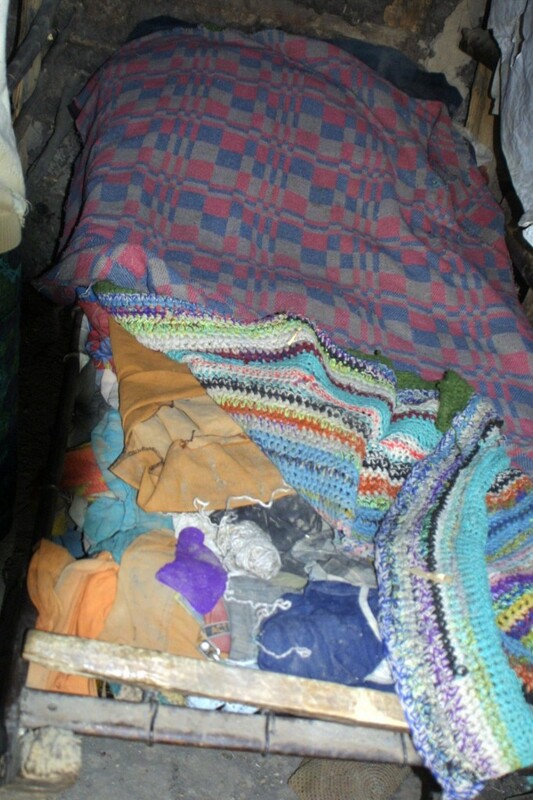 All materials were purchased with money raised by the women’s guild of Saint Catherine’s. 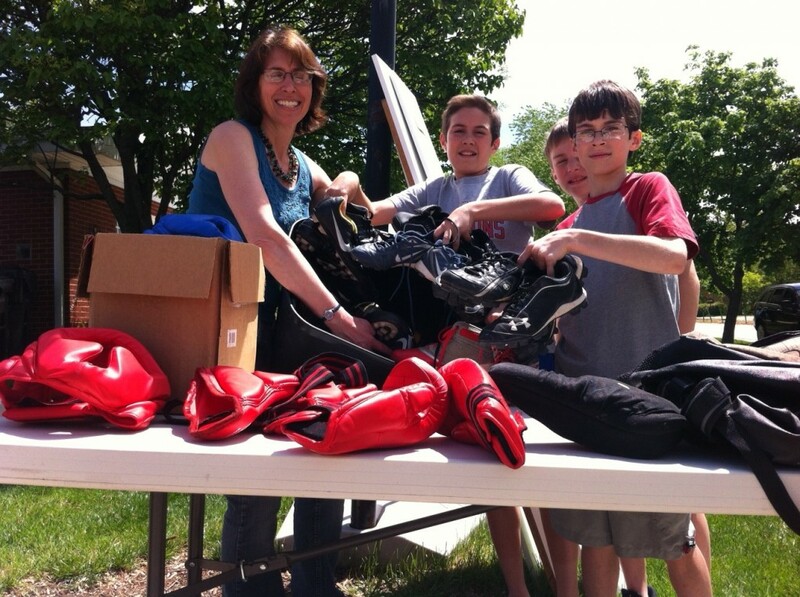 The pads will be making their way to Kenya this summer in only a few days. 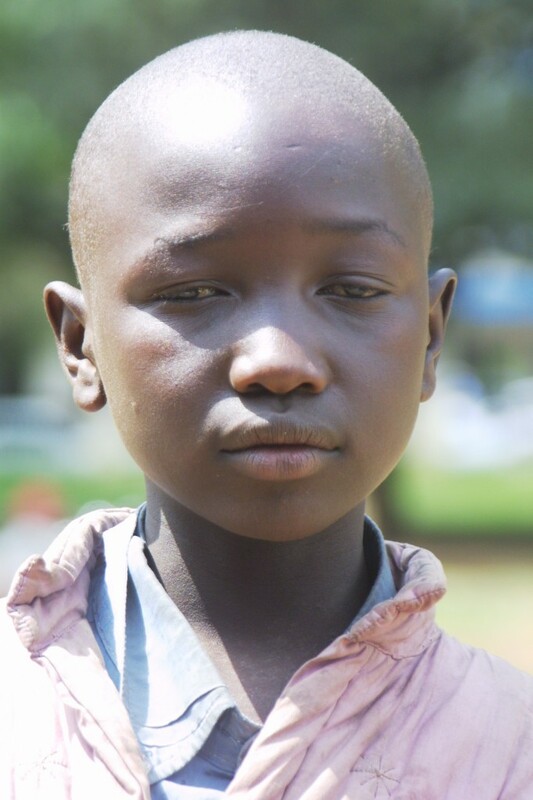 Help Matanya’s Hope get to Kenya by donating. Every donation counts! 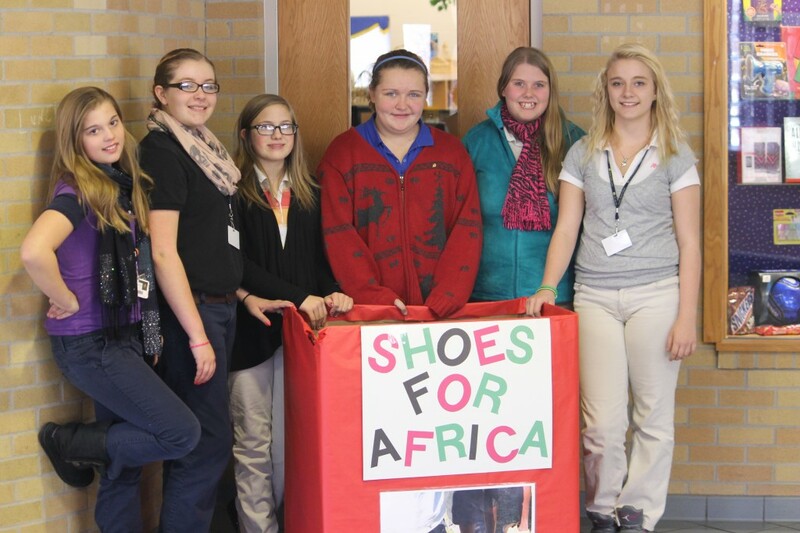 Students at Decatur Middle School were quick to take leadership when they learned that many people in Kenya walk barefooted and sleep in the cold without a single blanket. 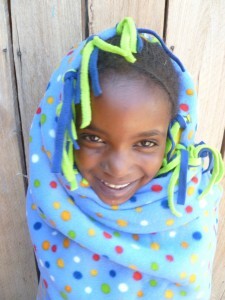 Students and other volunteers hand made over 60 fleece blankets which they donated to Matanya’s Hope. 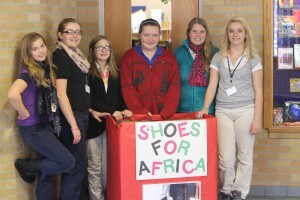 They then created a SHOE DONATION bin (pictured below), collecting shoes for Kenya throughout the year. But these heroes and heroins did not stop with material goods. 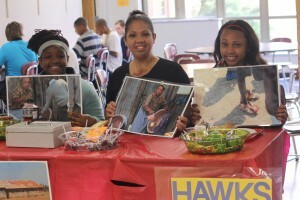 Students quickly realized that it costs money to get the goods over to Kenya and proceeded to sell suckers at their school, generating a profit surpassing $1000 – all of which was donated to Matanya’s Hope! To Decatur Middle School and Ann Thomson, their quiet angel in the background (and all other angels who helped)… THANK YOU! 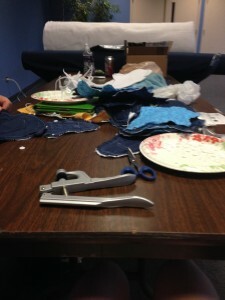 This entry was posted in Partners with Matanya's Hope on May 28, 2014 by Michelle Stark. Jeremy Rivers hosted a garage sale today to benefit the children of Matanya’s Hope. Rivers and his two brothers gathered a collection of sports equipment, books, games and more and offered them for sale. Jodi, Rivers mother, has been educating these boys on the importance of giving back. Today was a huge mile marker when many 25 and 50 cent items added up to almost $175 dollars raised and donated to Matanya’s Hope! With the 2014 mission fast approaching, Matanya’s Hope still needs to raise $4,000. This is your chance to hit the donate button and become a part of our success! One small act is all it takes to change the life of a child in need. Just this once. Just a little. Click the donate button on top of the page and donate today. Here’s to 3 boys and their mom who made it happen! 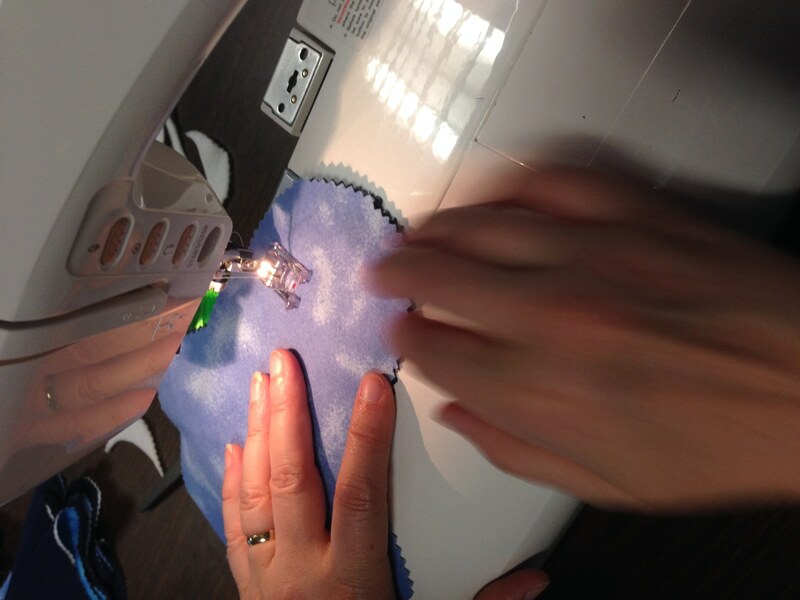 This entry was posted in Programs to Help on May 25, 2014 by Michelle Stark. At last we have set a date for our first ever Matanya’s Hope golf outing! We are pleased to tell all friends of Matanya’s Hope that on Monday, September 22, 2014 at Ruffled Feathers Golf Club in Lemont, Illinois we will be golfing with a shotgun start at 8 am. More information is available at http://events.r20.constantcontact.com/register/event?oeidk=a07e9atbw6l04784711&llr=8g6fftbab. All are welcome to register at this link and join us for a lovely day. Hole sponsorships are being taken. All proceeds from the event will benefit the life saving work that we do here at Matanya’s Hope. This will be far more than just another golf outing. Hope to see you there! Matanya’s Hope was honored by the hands on participation of one of four girls mentoring groups funded by the Lambda Tau Omega chapter of Alpha Kappa Alpha Sorority, Incorporated – known as The Precious Pearls. Precious Pearls is comprised of 20 high school girls ages 14-18 who primarily live in, but not exclusively the far south suburb of Chicago. The girls gathered on two separate occasions to hand tie fleece blankets for our children in Kenya, many of whom do not own a single blanket. This project reinforced the development of service and leadership skills in these young ladies and worked well with the purpose and vision of the organization: to provide guidance, support and constructive role models to girls from all backgrounds. The vision for the Precious Pearls is to instill a spirit of giving, participation, adventure, leadership and service in each girl through guided mentorship. 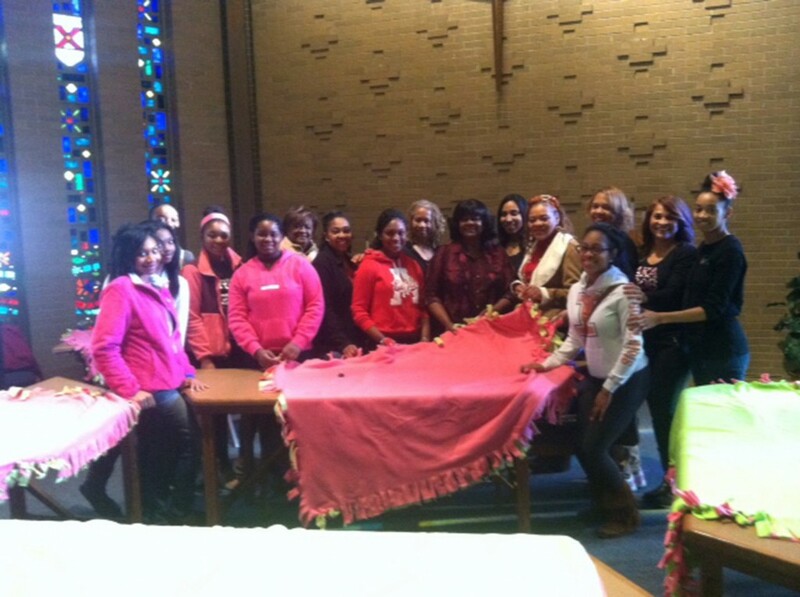 The Precious Pearls enjoyed making the blankets with the guidance of Leah Hill during workshops and community service events. What a joy it will be for us to share photos and videos with the girls when our Matanya’s Hope recipients half way around the world receive these blankets! Stay tuned to the blog. Soon we will be reporting from Kenya! This entry was posted in Uncategorized on May 20, 2014 by Michelle Stark. 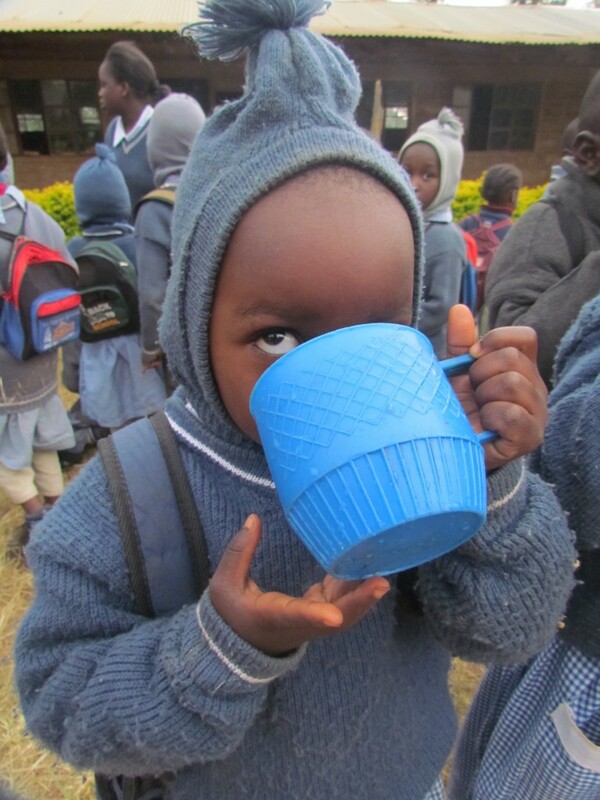 Each year, Matanya’s Hope sets out on mission to bring encouragement, love and material support to extremely impoverished and orphaned children and their communities in Kenya, East Africa. Do it for a kid in need. This entry was posted in Matanya's Hope on May 16, 2014 by Michelle Stark. On May 1st, T-Town Bat Co. unveiled it’s summer campaign, “Play 4 Kenya”. This custom bat, designed specifically for Matanya’s Hope, is available for purchase. 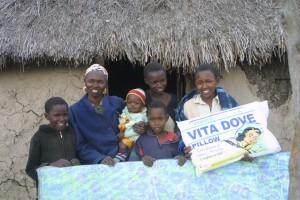 A proceed of the sales will go to Matanya’s Hope’s work in Kenya. With every bat purchase, T-Town Bat Co. will also send out a “#Play4Kenya” bracelet to show your support for Matanya’s Hope. To purchase your bat, go to www.ttownbats.com or call: T-Town Bat Co. 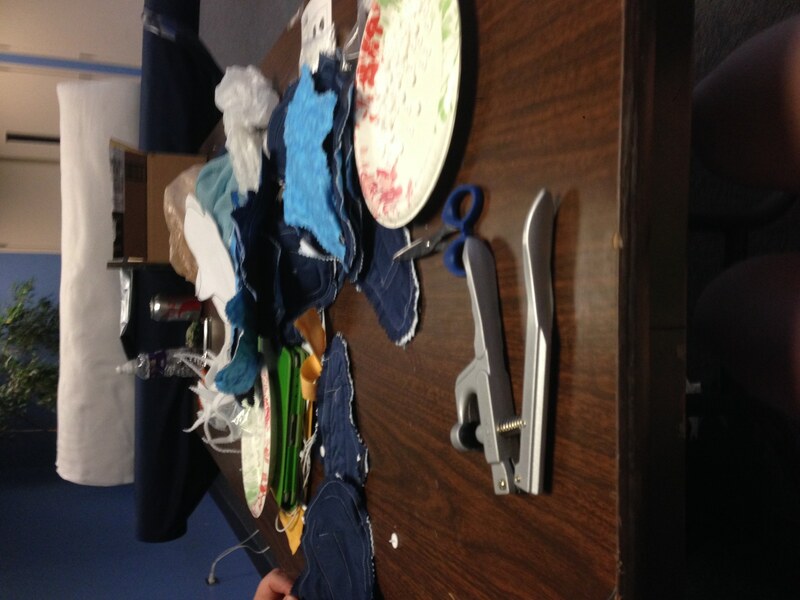 This entry was posted in Partners with Matanya's Hope on May 14, 2014 by Michelle Stark. Matanya’s Hope started in 2005 by educating 4 destitute Kenyan children who would never have been able to continue school beyond 8th grade. Today we educate more than 250 orphaned, hungry, deeply impoverished children from nursery school through university on a continual year to year basis while at the same time providing communities with life sustaining opportunities such as clean drinking water, food programs, medical supplies, reforestation and more. These communities would never have experienced life beyond abject poverty however, today, Matanya’s Hope delivers the message of HOPE. This entry was posted in Matanya's Hope on May 14, 2014 by Michelle Stark. We really need your help! 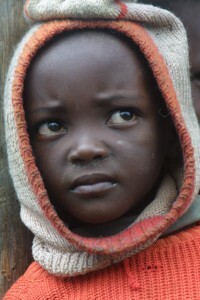 Our life saving mission to Kenya is just weeks away, and we face a terrible crises. We currently have a shortfall of $12,700, which is desperately needed to insure the success of our mission. Your help can make a difference! Please take a moment to support us by sending your tax deductible check to the address below or by using pay-pal via our website: www.matanyashope.org or blog: www.journeytohelpafrica.com. Help make it possible for our work to continue. We are desperate at this time and every minute counts. For those of you who have already contributed, thank you! Thank you from the bottom of our hearts. For those who have not acted thus far, please take a moment to consider how valuable your contribution is to the lives of these beautiful children, and act accordingly. Your contribution – no matter how large or how small, is critical to our success. Every dollar counts. To get an in-depth look at the work of Matanya’s Hope, please look at our website: www.matanyashpope.org and our blog: www.journeytohelpafrica.com. See what your dollars do and mean to these children. Thank you so much for your considerations and help. This entry was posted in Matanya's Hope on May 13, 2014 by Michelle Stark. This is a lucky child. I’ll never forget how I felt the first time I watched a child collect and drink muddy river water from an old, battered plastic bottle. The smell of cow and goat urine permeated the air. Animal hoof prints were embedded in the muddy banks. 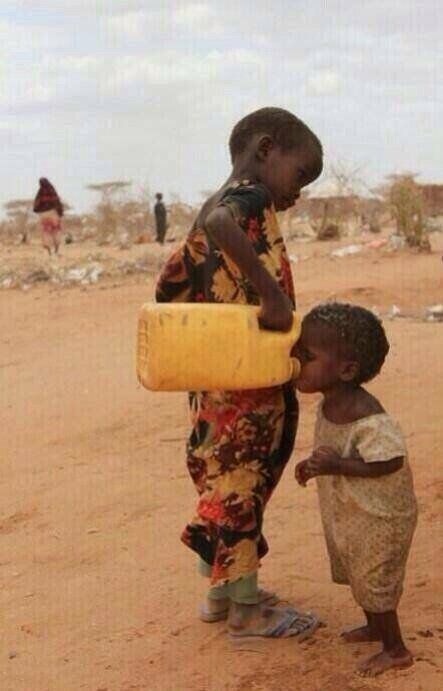 Children gathered for a drink. 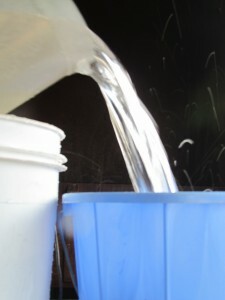 River water carries diseases such as typhoid, malaria and brucellosis. Without treatment, these diseases can kill. Seeing children gathered by a river is a common site in Kenya. But common does not mean “safe” or “good”. Rainwater Storage Tanks harvest clean SAFE drinking water from the rooftops of homes. The water is collected from the roof via the gutters and channeled through a sieve where the debris is sifted out. Each tank is treated to prevent mold and bacteria. It still pains me to see children drinking river water. But together we can continue to provide a better alternative – ONE RAINWATER STORAGE TANK AT A TIME. This entry was posted in Programs to Help on May 10, 2014 by Michelle Stark.